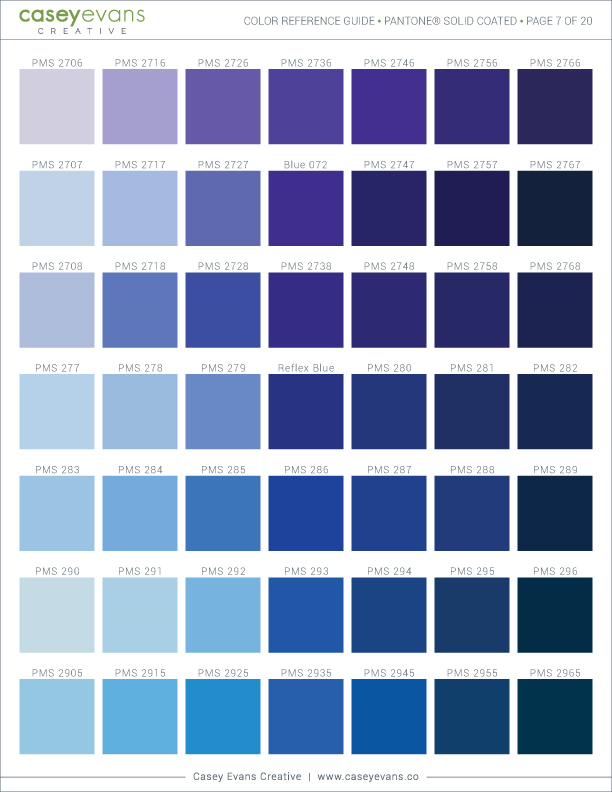 The Pantone® Matching System (PMS) is a system shared world wide by the graphic arts industry. 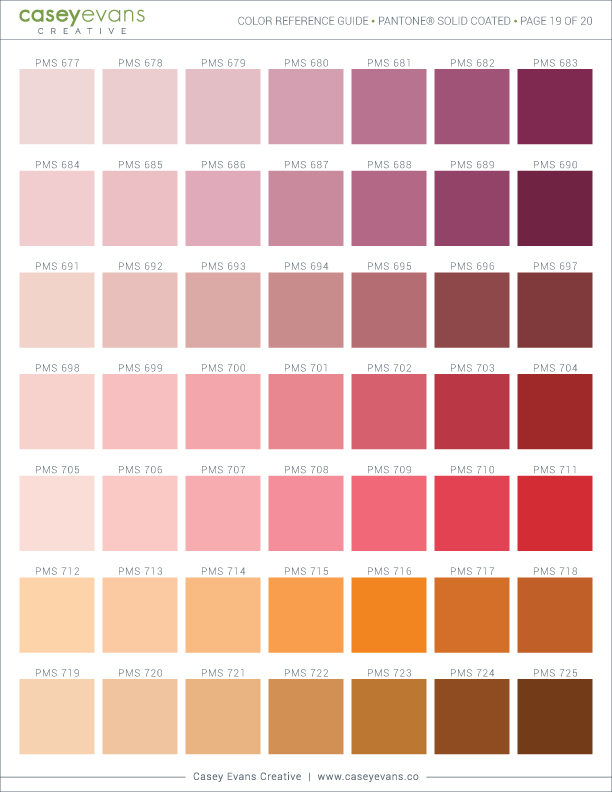 You may view these charts to help specify a certain PMS number to use for your logo or design project, however, these charts are intended as a reference guide only. 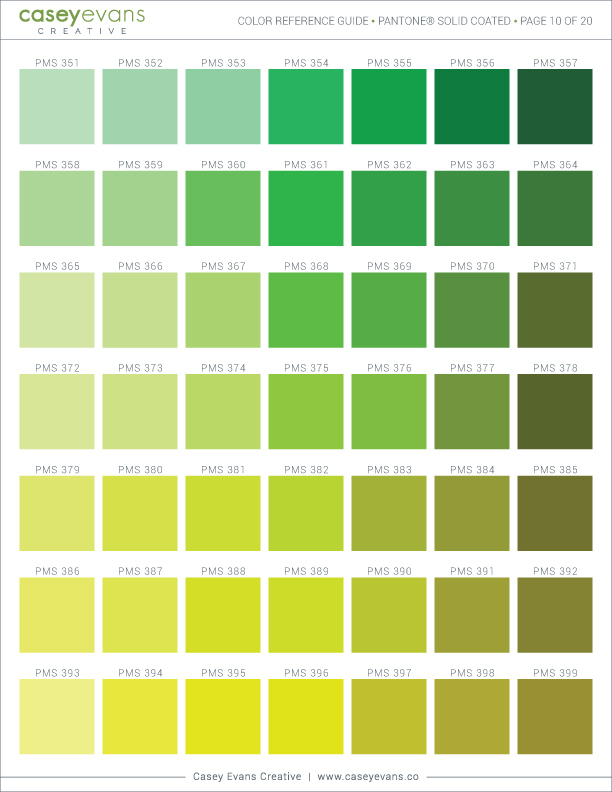 PMS colors on computers, tablets, and mobile devices may vary based on the monitor or screen being used. 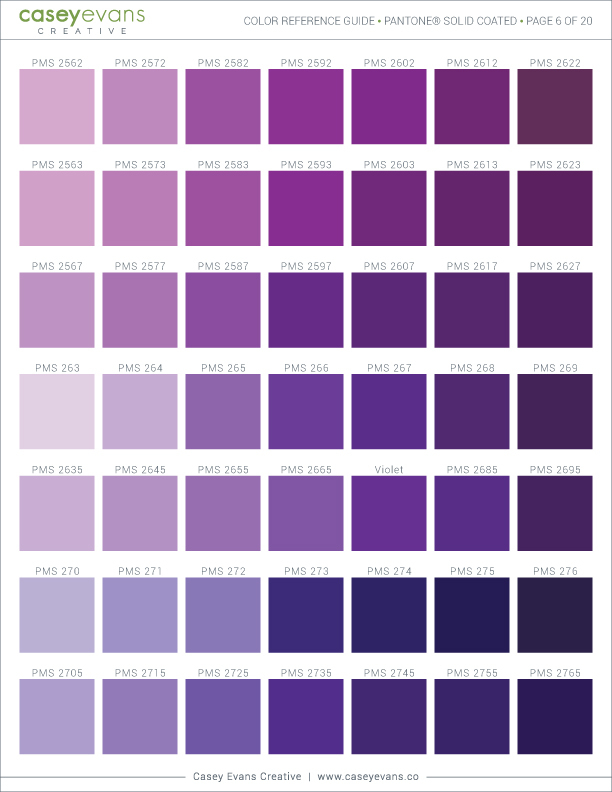 If color matching is critical to your project, do not rely on this as your only method for final color selection. 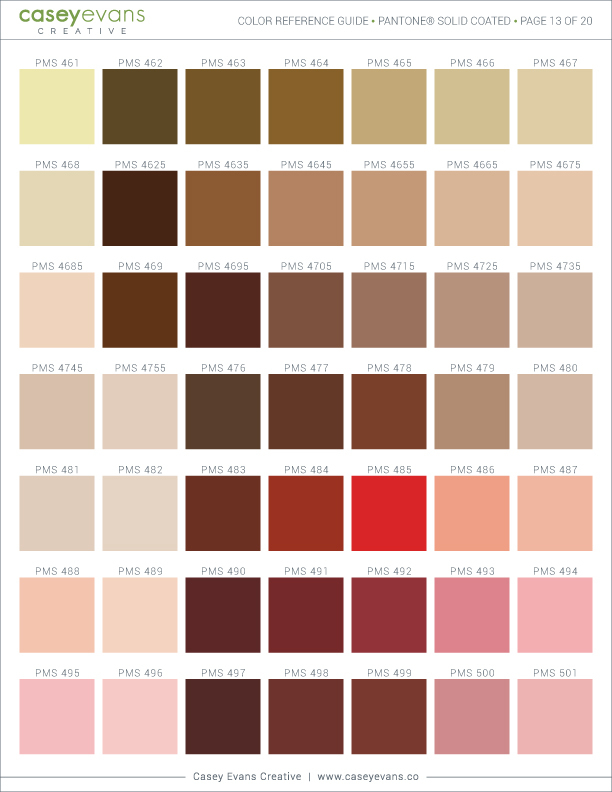 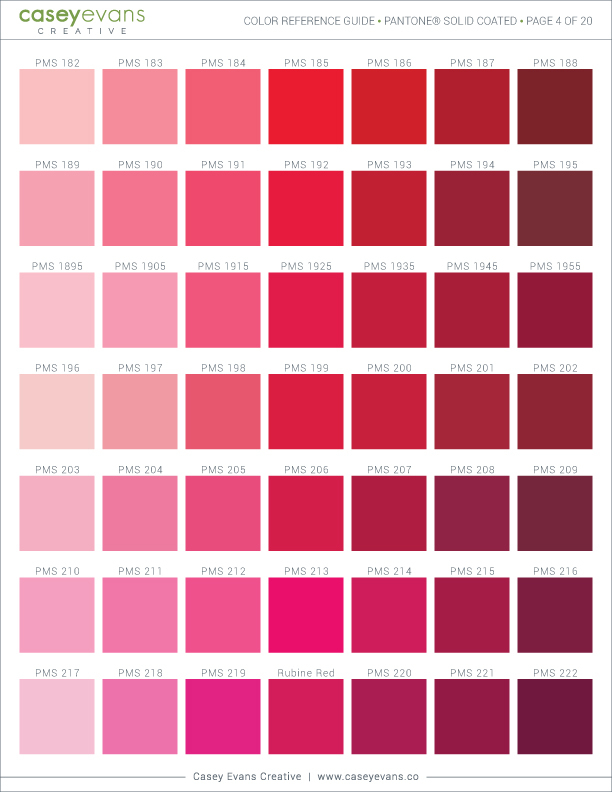 To ensure an accurate PMS match, you should consult a graphic artist or print shop in your area to view an actual PMS color swatch book. 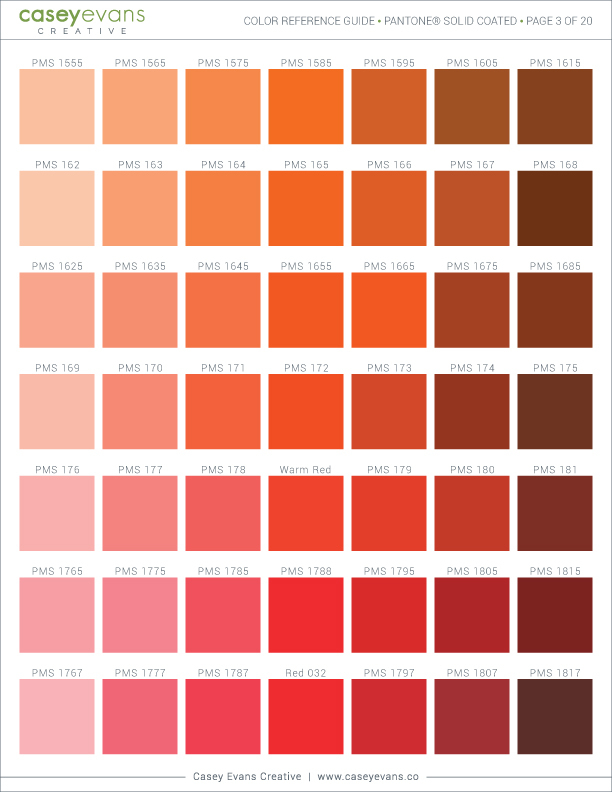 Browse through my Color Reference Guide to find the colors that you want used in your logo or other design project. 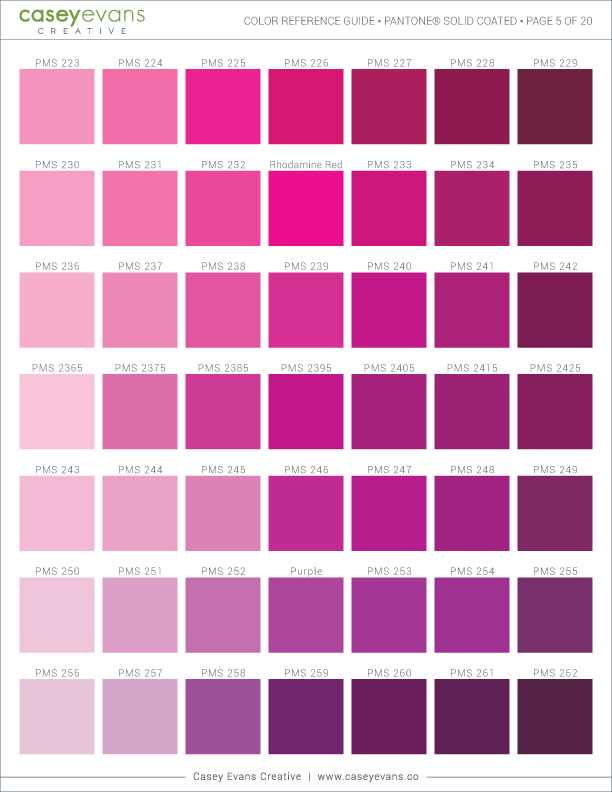 Specify your color choices using the PMS number that best matches your preferences! 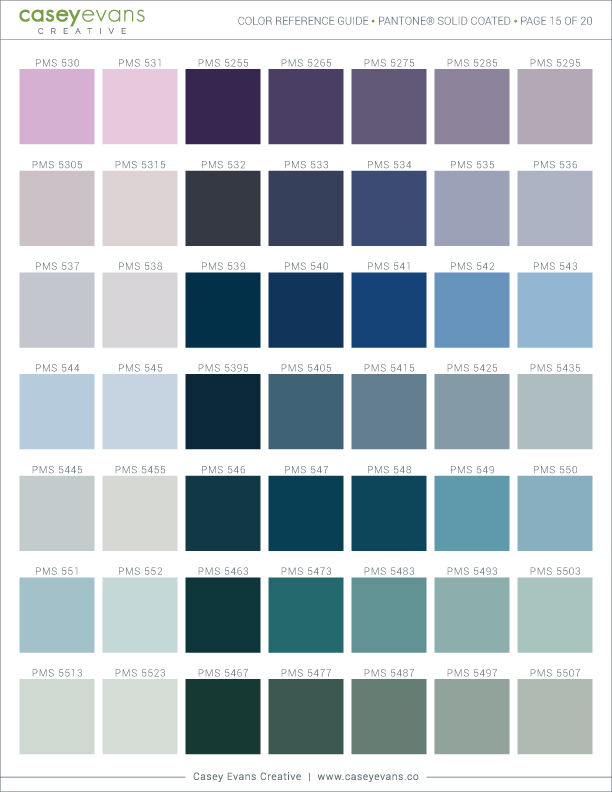 Feel free to select several variations to start, then we can work to fine-tune the color combinations as needed until we've got a winning selection! 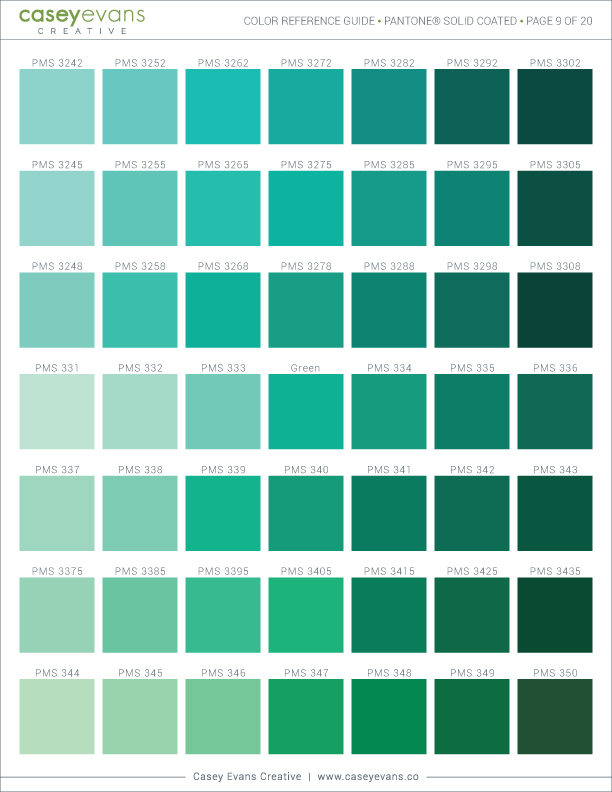 Browse through the color guide below, just click/tap to make them bigger!